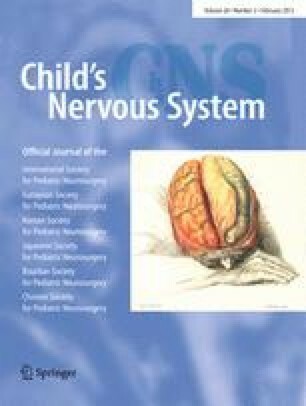 Stridor, associated with vocal cord paralysis, in neonates with myelomeningocele (MMC) is a recognized symptom related to Chiari II malformation (CM). In most children, stridor appears after birth. Control of hydrocephalus, if present, and urgent decompression of the CM are recommended for treatment of these patients. Such management typically improves symptoms. Occasionally, stridor is present at birth and may be secondary, in part, to maldevelopment or prenatal ischemia of the brain stem, rather than treatable compression. There is minimal literature describing the outcome after Chiari decompression in this population. The purpose of this study was to review the outcomes of neonates with MMC and stridor at birth and compare it to MMC patients who develop stridor later. We hypothesized that unlike stridor which develops after birth, stridor at birth predicts a dismal outcome, despite aggressive surgical treatment. Retrospective review of newborns with MMC and CM was performed in our institution from 1975 to 2010. Patients with stridor at birth and those who developed stridor later in infancy were identified. Outcomes were analyzed. Autopsy findings were reviewed when available. Six patients with MMC who presented with stridor at birth were identified. Five of these patients had decompression of CM and treatment of hydrocephalus, if present, within the first 2 weeks of life. All patients died: three within 1 month and the oldest at 62 months. In the three patients with autopsies, vernix caseosa meningitis was present. Eight patients presented with stridor later in infancy. CM decompression was performed in seven of them. One patient out of the seven with late onset of stridor died at 13 months after CM surgery. The mortality rate after CM decompression was worse in patients with stridor at birth than those presenting later with stridor (chi-square p = 0.015). In newborns with MMC, stridor at birth may predict dismal outcome despite CM decompression. Unlike the situation in neonates who develop stridor after birth, the outcome in those presenting with stridor at birth does not seem to be impacted by decompression of the CM. Nonoperative management may be an option to offer in this population. Additionally, vernix caseosa meningitis may contribute to the severe irreversible brain stem dysfunction in these newborns. The authors would like to thank Dr. Christopher Dunham from British Columbia Children's Hospital, Division of Anatomic Pathology for his valuable contributions to this paper by supplying specimens of vernix caseosa meningitis. No financial relationships exist that are relevant to this study.